This item from my collection is a very rare mezuzah case. 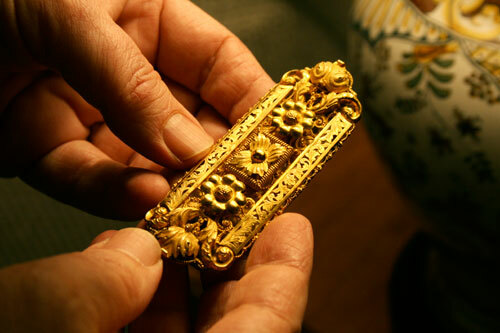 It is hand crafted from 18k gold with chased, engraved and open work. It is Italian from about 1840. To view it, I use a magnifying glass to see all of the detail work.